‘After studying engineering and gaining several years’ experience in/with different steam processing industries, I set up a boiler maintenance company in Tilburg in the early 80s. The product and its many applications had caught my eye in the early years of my studies. I quickly got into related activities such as repairs, buying and selling used steam boilers, pipe fitting and steam and warm water boiler hire. In the decades that followed, I steered the company more and more towards the current situation, namely, a rental company and a company that sells new boilers, with an appealing customer base. And not just in the Netherlands, definitely abroad as well’. ‘It’s true, my background is in law and I have several years’ experience as a lawyer, but growing up in a family where steam and the company were an important part of daily life, I joined the family business in 2007. The chance to work in the family business and to (partly) determine the policy and progress of the company was unique. In the years that followed, my affinity for the product and the company only grew. I had also been involved in the Steam Platform [Stoomplatform] as co-founder and board member for quite some time, which increased my familiarity with the world of steam’. 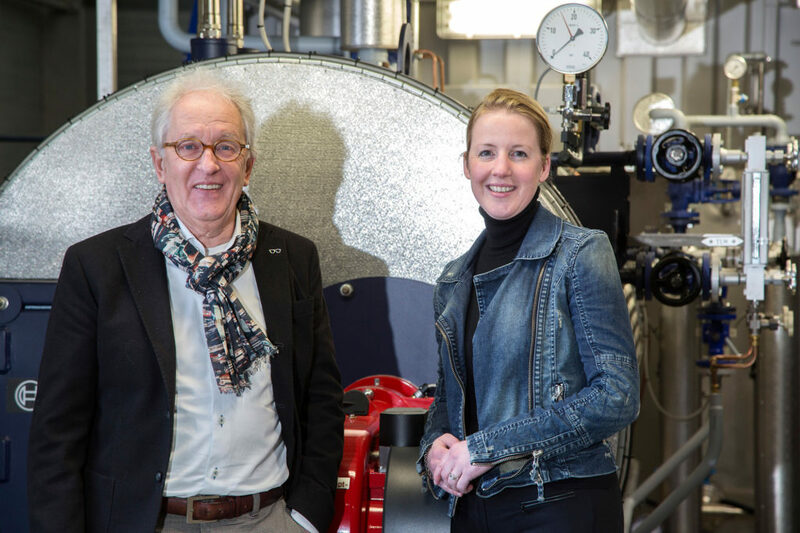 Despite belonging to two different generations and having different individual backgrounds, Jos and Natasja share the same vision for the family business and its future. Quality, safety, reliability and accessibility are and will remain the defining terms of the organisation. These values are supported not just by the management, but by the entire organisation. Additionally, commitment to the family business and its continuation as such, as well as being a dependable partner for temporary and permanent solutions domestically and internationally, are of the utmost importance to both Jos and Natasja.